MoviePass fans are well aware that the relationship between the movie subscription service and AMC Theaters have been contentious at best. Some theaters flat out refuse to accept MoviePass debit cards, while others keep their doors wide open. But now, AMC is throwing down the gauntlet with their own competing movie goer subscription service, which they hope will lure fans to away. But MoviePass isn’t going to let them go without a fight. Based on AMC’s loyalty service “STUBS Premiere”, the AMC Stubs A-List will give subscribers up to three movies per week, for a monthly fee of $19.95. That contrasts with MoviePass’s all you can eat movie deal of $9.99, but which comes with several restrictions, including watching only one movie a day, and not being able to get tickets for premium presentations including IMAX, 3D, and special fan based events. 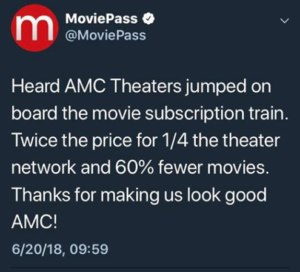 MoviePass was quick to point out that the new AMC service cost subscribers twice as much, for fewer movies, and has fewer locations which will honor member ticket sales. That may be true, but the Stubs A-List, by contrast, will also offer users the benefits of the Stubs Premiere level, that includes free upgrades on popcorn,n soda, free large refills, and express service at the box office and concessions. The Stubs Premiere level costs members about $20 a year, but users get it for free with the A-List subscription. The AMC Stubs A-List program launches June 26th. But even more importantly, Stubs A List members have the ability to attend screenings in IMAX, Real 3D, and Dolby Cinema presentations, and awards of 100 stubs points for every $1 spent. This is something that MoviePass would not offer. Until today, when MoviePass quickly opened up the ability to watch IMAX and 3D presentations, by charging MoviePass users a small upgrade fee starting at $2-6 per ticket. That’s not too bad if you want to see the film in IMAX. 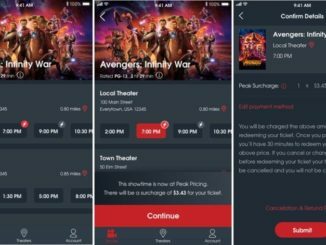 MoviePass is also allowing members to bring a friend for the retail price of another ticket. I’m not really sure what benefit that is, other than the convenience of getting your tickets all at once. The premium movie upgrade won’t be combinable with the bring a friend option, either, making it’s benefit even more dubious. 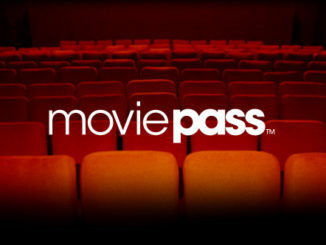 But another change that’s coming, has many MoviePass fans up in arms. It’s called Surge Pricing, and it will prevent members from seeing a popular movie when it first comes out, unless they pay an additional fee of $2. “At certain times for certain films — on opening weekend — there could be an additional charge for films,” MoviePass CEO Mitch Lowe said. Lowe did point out, however, that the added fee only is needed to “we can continue to offer a valuable service and support the whole enterprise.” He also added that the new fees only apply to month to month subscribers, and not those who have bought an annual membership plan. The Surge Pricing restriction will go into effect in July, and the Bring a Friend program will premiere in March. All things being equal, I still think that MoviePass has the advantage, but not by much. And AMC has the benefit of time on their side, as MoviePass continues to hemorrhage cash, posting a $40 million monthly loss on three million memberships. The company has taken out a $165 million loan, through a bond sale, in order to keep operating, and are hopeful that surge pricing will slow down the burn rate on cash.